Water supply is the process of general requirement for supply of water from public water supply system to individual building and subsequent distribution of water to various parts of the building. The water from public water supply system to individual buildings is supplied through pipes. A large proportion of capital is invested on pipes while designing water supply distribution system. The following factors should be considered in selection of pipes. Jointing process, maintenance and repairs. The pipes are available in several types and sizes. They may be classified into three groups according to the material used in their manufacturing. Metallic pipes: the pipes such as CI Pipes, Steel pipes and GI Pipes. 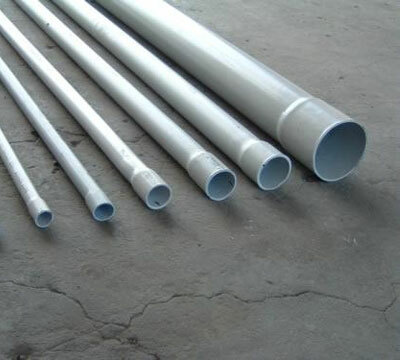 Cement Pipes: the pipes such as Cement Pipes, Asbestos cement (AC) pipes, cement concrete pipes. These pipes are mostly used in water supply. They are well suited for pressure and can withstand external load because of their thickness. The pipes are easy in manufacturing, layout and joining. These pipes are manufactured by vertical casting in sand moulds, horizontal casting in sand moulds and centrifugal casting (spun casting pipes). CI Pipes - Strong and heavy. CI pipes are heavy in weight. Therefore transportation is costlier and they are not suitable for inaccessible places. Due to heavy weight these are generally made in short length. This increases layout and jointing cost. CI vertical casting pipes are not of very good quality and can be replaced by centrifugal casting (spun casting) pipes. These pipes are extensively used for water supply. They are best suitable for long distance pipe lines of high pressure and provide satisfactory performance during service. 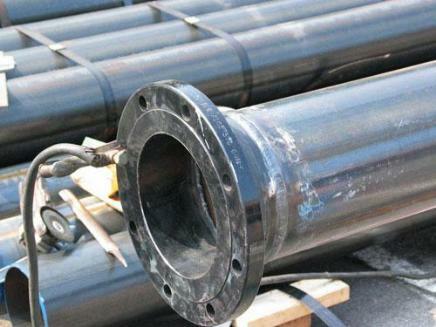 These pipes have excellent mechanical properties and are ideally suited for welding. The pipes are made in length more than twice the length of CI pipes; which saves in transport, layout of pipe and joining cost. There is minimum damage to the pipes in transportation. The pipes being light in weight are used for large diameter pipe lines. Main advantage of cement pipes in place of metallic pipes is their corrosion resistance. These pipes are bulky, heavy and require careful transportation and handling. The layout process of these pipes is costlier than steel pipes. These pipes are light in weight and easy in transportation and layout. They have smooth internal surface and are not affected by corrosion (rust). The pipes are extensively used for water supply systems. Holes can be drilled in these pipes. These pipes are not costlier. These pipes are rigid PVC pipes. They are light in weight, tough, resistant to chemical attack and large in length. Due to large in length the cost of handling is much whereas transportation and installation cost is less. Smooth internal surface of pipes provide less friction which results in saving of energy. These pipes are not suitable for the area which is very hot. PVC Pipes - Light weight still powerfull. To find a skilled plumber you have to do enough searches for it. Contact friends and relatives for a skilled plumber also go and see his work. Before hiring a plumber do some researches about the rates of different jobs and hourly rates. Sanitary appliances are fittings used for collection and discharge of soil or waste matter. These appliances may be grouped under soil appliances and waste water appliances. Soil appliances are used for collection and discharge of excreta matter including water closet, urinal etc. Do we know that there are several guidelines for labor to be followed while installing stoneware pipes? In the article let us discuss about such guidelines for a safe construction. water level tool help in marking level lines for ceiling and flooring etc.